Does Magnet comply with WEEE Regulations? Magnet does comply with WEEE regulations. Our registration number is IE01674WB. Please click on the link to see a full document in relation to responsible disposal of electronic equipment. I have a query on my recent bill. What do I need to register my .IE domain? How can I transfer my IE domain to you? Please place your order with our online system and fax us the transfer authorisation on your headed paper (or equivalent). Alternatively you can scan and email it to us. NB Please ensure that the transfer request is signed. While we will attempt to send your registration request to the IE domain registry immediately we cannot guarantee it. Once the domain request has been submitted the domain status will change to “pending”. If your domain’s DNS is not setup correctly the domain will be “stalled” until you rectify the situation. An IE domain requires two valid nameservers for it to be registered. If you are not using our nameservers we cannot be responsible for delays in domain registration. When Does The IE Zone DNS Update? How can I update the registrant / owner details of a .IE domain name? For example, if XYZ Ltd had registered xyz.ie back in 2002 when Mr John Doe was their IT person Mr Doe might be listed as the Admin contact (admin-c) on the domain name. Time moves on and Mr Doe has left the company (or maybe he’s been promoted ..) so Ms Jones is now in charge. The domain is still registered to XYZ Ltd, but you need to get the domain contact updated. A signed fax on the company’s headed paper explaining the update should suffice. What’s the best way to send documentation / proof for .IE domain registration? Alternatively you can email (ie. scan the document and send it to us as a jpeg attachment) or fax it to us, however bear in mind that passports and other documentation do not lend themselves to fax, as they appear completely black and are rendered illegible. Why hasn’t my IE domain transfer been processed yet? How can I update my IE domain’s nameservers? NB Please ensure that your host has setup the dns correctly as incorrect dns will lead to delays. The new DNS servers need to be prepared in advance of any attempted update. This will also issue the EPP key for the domain name via email. Please note that should your domain be listed as unlocked already, lock it again and then unlock to ensure the process is successful and the EPP code is issued. The methods of transfer for .ie, .com and .uk domains do vary; please take a moment to look over the below instructions. We would recommend paying particular attention to the Domain Transfer Notes at the bottom of this page. Firstly, it is important to be aware that the transfer of domains can take some time to fully complete. Blacknight cannot be held responsible for delays in transfers due to errors made by third parties. .ie domains will typically transfer within two working days, so long as the appropriate documentationis provided. .com domain transfers can take up to 7 days in some cases; please ensure that you have allowed for this when transferring a domain that is due for renewal. We urge you to initiate transfers as far in advance as possible; expired domains cannot be transferred. .co.uk domains will usually transfer within one day, however you should allow up to 7 days. Please note that ‘transferring a domain’ means moving the billing of a domain ONLY. This does not transfer your email accounts or website content, or automatically update the DNS. The process for transferring a .com/.net/.org/.info/.biz/.mobi/.tv is entirely different. In order to avoid any issues, please ensure that you initiate the transfer as far in advance as possible. Blacknight recommend transferring your domain at least a month prior to the renewal date. You will first need to ensure that your domain’s listed details are correct, in particular the email address. You must have access to the domain’s admin contact email address to complete the transfer. Contact your current provider. If you do not have access to the email address associated with the domain you wish to transfer, you will need to update this. You will then need to request that they unlock the domain for transfer and provide you with an “authorisation key” or “EPP code”. Please ensure that you check the email address for the domain daily (including your Junk Mail folder). Magnets registrar will send an email to this address to verify the transfer request; you must respond to this. If you are moving from an ISP such as Eircom, Vodafone, please ensure that any billing issues are resolved with the ISP before you request the transfer, as this can result in delays. The larger Irish ISPs and hosting companies will respect requests for domain transfers to other companies provided that no such issues exist. In the case of domains registered through Joker, you will need to initiate the transfer process from within the Joker control panel. Important note: Domains cannot be transferred between registrars until the domain is 60 days old. 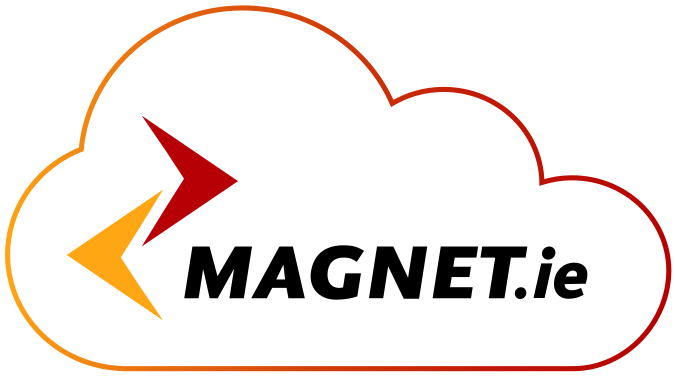 Contact your current hosting company, requesting that they change the current Registrant’s Agent Tag (IPS Tag) to ours:Magnet-IE. Generally this will go through without any issue, however if it does not, due to inactivity or unwillingness on behalf of your current hosting provider, you can request that Nominet initiate the change for you. Once the tag has been changed to us, you can update your nameservers via cp.magnethosting.ie. You will receive a confirmation email once the domain is transferred/completed. Please be aware that different hosting providers may have different directory structures, so your website code may require some modification to work after the transfer. Most databases can be easily transferred from your old hosting provider to us, but we will have to change the database details, including the database name, the usernames & the passwords. As such, modifications will have to be made to your website’s code. We highly recommend an appropriate testing period after you have transferred a domain to us. Be Aware that the transfer of domains can take some time to fully complete. .ie domains typically transfer within 48 hours. .co.uk can take a little as one day to transfer, but you should allow up to 7 days. You cannot transfer com/net/org/info/biz domains until they are 60 days old. What happens to my DNS records when I transfer a domain name? Once the transfer completes you can either continue using your current DNS provider or switch to us. Where can I learn about SEO? SEO is Search Engine Optimisation and there are thousands of websites dedicated to the topic of search engine optimisation, so you could start there. Can you help my site appear in Google? We are a hosting company. I’m afraid we do not offer search engine optimisation (seo) or marketing services. My Site is not on Google/Yahoo/Random Search Engine? Search Engines do not just happen across websites, there must be a proper Search Engine Optimisation plan of action drawn up by the owner/operator of a website. The maximum number of recipients on a single email is the same as the amount of emails you can send per minute. That would be 100 on either plan. What ports can I send email through? All of our shared hosting plans can support the sending of email through the default SMTP port – 25, and the alternative SMTP port – 587. An increasing number of broadband providers like Smart, Magnet, Vodafone, and parts of Eircom’s network are putting restrictions on port 25 on their customers. This means you typically have to send email out through their outgoing mailserver instead of ours. This won’t be noticeable on the receiving side at all. If you regularly change broadband provider, or don’t want to use your broadband provider’s mailserver, you can try port 587 however there is nothing to stop Internet Service Providers from putting similar restrictions on this port also. We have specifically seen some customers on parts of Eircom’s network being restricted on both port 25 and 587. To set up email aliases you would login to your control panel cp.mangethosting.ie and then navigate to the email account in question (typically you would go to: “Email >>click on the display name of the email address). Once you have selected the email address by clicking on the display name you will be able to navigate to the “Email addresses” tab. In this there is an option to add in extra email addresses to the email account, called “Add”. This means that any emails sent to this alias address will be delivered to the mailbox of the main email account. You cannot send emails from the main account and have them appear as if they came from one of the alias addresses. 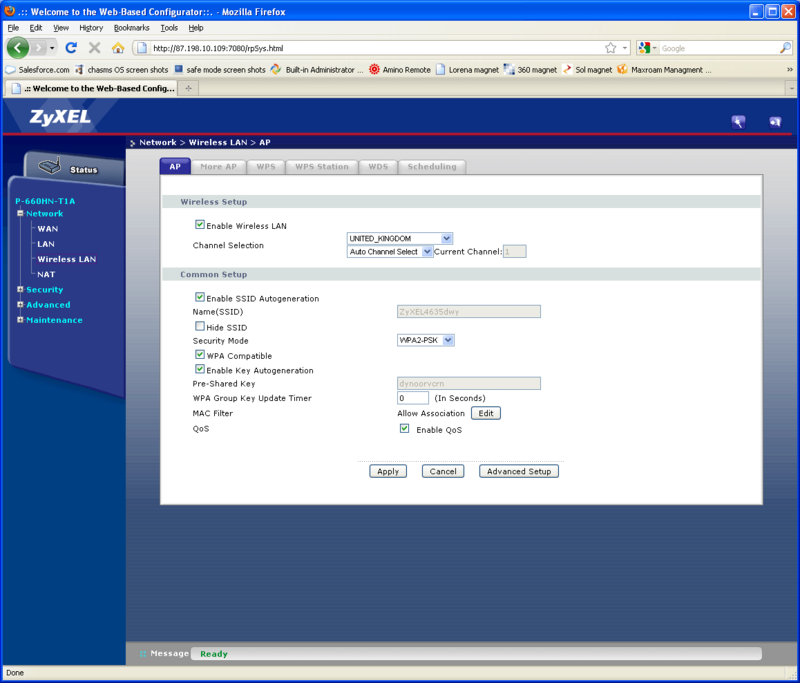 To do this you would need to setup the alias email address as a separate email account. What Is the Maximum Size Of Email Attachments? * This will bring you to the summary of your email account, once there go to the *Forwarding* tab and click on the *Forward List*. * In the box type in the e-mail address you want to forward to. How can I avoid being accused of sending spam? I can’t send emails but I can’t receive them? Try disabling your anti-virus program or firewall to rule this out. If that solves the problem then look for an option in that program to disable any email scanning. You can try restarting your email program. This can sometimes happen with older versions of Outlook in particular. Typical symptoms are emails just sitting in the outbox with no obvious error. Some Internet Service Providers require you to use their sending mailserver to send email and don’t allow the use of a third-party’s like ours. We would typically recommend you contact your broadband provider and ask them for their outgoing mailserver if this is the case, but you can alternatively try using port 587 instead of 25 in your email program. However that said, there is nothing to stop your ISP from blocking port 587 along with 25. We only support TLS or StartTLS encryption on email accounts set up through cp.blacknight.com. We do not support Secure Password Authentication or SSL, SSL\TLS on ur shared hosting packages. If you are encountering errors while deleting email to Trash or the iPhone is not storing messages to the Sent folder on the server you will need to check the settings of the email account, on the iPhone. Ensure that you have the relevant folders on the phone set to sync with the folders on the server. – Click Mail, Contacts, Calendars. – Scroll down and click Advanced. Now click back ‘< Account’ at the top and then click ‘Done’ top right, this will then sync and save the settings. Emails should now be stored, and moved, to their relevant folders. 1. Open your email client. 2. Enter your full email address and password. 4. For the Account type, we recommend IMAP. 5. For the Incoming settings, we recommend using “mail.blacknight.com” for the incoming IMAP server. You will also want to leave the Security Type as None. 6. For the Outgoing SMTP settings, we also recommend using “mail.blacknight.com”. You will also want to leave the Security Type as None. Port 25 or 587. 7. 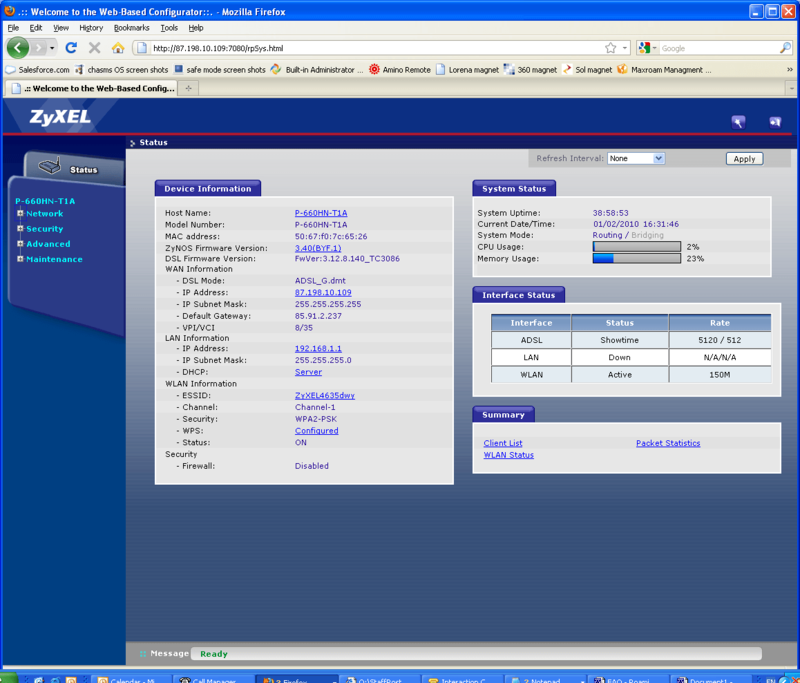 Configure your Account options as desired on the subsequent screens and you’re done! How can I setup my POP\IMAP email accounts on my computer? For the incoming/outgoing mailserver you can use mail.blacknight.com. The below is a list of how to enable SMTP authentication on a number of popular email clients. * Go to ‘Tools -> Email Accounts’. * Select ‘View or change existing email accounts’ and click Next. * Select your email account and click the Change button on the right. * Click ‘More Settings’ on the right. * Click the Outgoing Server tab. * Tick ‘My outgoing server (SMTP) requires authentication’, and make sure ‘Use same settings as my incoming mail server’ is selected. * Click OK to close the Internet Email Settings box. * Click Finish to close the Email Accounts box. * Go to ‘File -> Account Settings -> Account Settings’. * Click on the account to highlight it, then click on the ‘Change’ button. * Go to ‘Tools -> Accounts’. * Click on the your listed email account then click Properties on the right. * Select the Servers tab. * Click on your email account to highlight it, then click ‘Properties’ to the right. * Under the Outgoing Mail Server tab, tick the box ‘My server requires authentication’ and click Settings. * Tick ‘Log on using’ and in the Account name field enter your email address, and then enter the password for this email account. * Tick the box ‘Remember password’. * Click ‘Edit’ at the top of the Accounts window. Do Not click on the edit menu at the very top. * Click the ‘Click here for advanced sending options’ option below the SMTP server box. * On the lower right corner of the window, click on Server Settings… (under Outgoing Mail Server (SMTP)). If this option is not visible, make sure you have the correct mail account selected, and that the Accounts and Account Information tabs are selected. * Pull down the Authentication menu and select Password. * Enter your username and password. * Click on the box labelled “Outgoing Mail Server (SMTP)” and choose Edit SMTP server list. * Pull down the Authentication menu and select Password and enter your username (email address) and password. * Click on the “OK” button. * Go to ‘Tools -> Account Settings -> Outgoing Server (SMTP)’. * Select the server and click the Edit… button. * Check the ‘Use name and password’ option. * Thunderbird will ask you for your password the first time you send email and you can optionally save it at that time. * Go to ‘Settings -> Mail, Contacts, Calender -> your email account’. Qmail\Mail Hosting is disabled. How do I enable it? Websites > domainname > Mail Hosting and if so then it might be the aforementioned issue. How can I create an email address for my domain? To create a new, or additional email to your domain on our cp.blacknight.com based hosting plans please follow these simple steps. 5) From here select Add new email address. Please note that this method relies on cronjobs which only work on Linux.To backup website contents on a weekly basis, a cron job can be setup to tar up the contents into a downloadable file. Replace the $Webspace_ID with your webspace ID. You can retrieve your webspace ID by selecting the appropriate subscription from the subscription dropdown menu near the top right then select the ‘websites’ tab. The ‘webspace ID’ will be in the Web Hosting column. This will create a the tar file with the current date of the backup. Replace the Folder_to_Backup with the folder within httpdocs with the folder your website content reside in. Replace $database_hostname, $database_username, $password, $database_name and $Webspace_ID with the relevant details. Note the lack of space between -p and the password. These cronjobs can be set to run weekly and should create a file in your httpdocs folder, this can then be downloaded as a single file. -You can then select the hosting package and ensure the correct subscription number is selected. – You will also need the password which cannot be viewed so you will need to change it. It can be changed by clicking on the edit button and then ticking the box for Change Password. Finally click submit. -Once the FTP has been setup, your hosting will be ready for upload. – Typically with an ftp client once you have entered the host, username, password and port (always 21) and connected to the server. -Type this path into remote site field (sometimes referred to as path/directory) and then drag and drop the website files you want into that directory. Standard forwarding will forward the user to the site you desire, and the URL will also change. Example: you have decided to standard forward johndoe.com to johndoe123.co.uk. Any user who visits johndoe.com will see the johndoe123.co.uk website and the URL in the address bar will change from johndoe.com to johndoe123.co.uk. Please note that forwarding may take upto an hour to take effect. Where do I find my FTP details? Here you will find the address to connect to (FTP URL), your FTP username – you can also simply use the IP address as the hostname if you like. -You can generate one and save that, it will be displayed on screen when you press the ‘Generate Password’ button – you will need to take this down. – Or you can put in your own, in which case you do not press ‘Generate Password’. 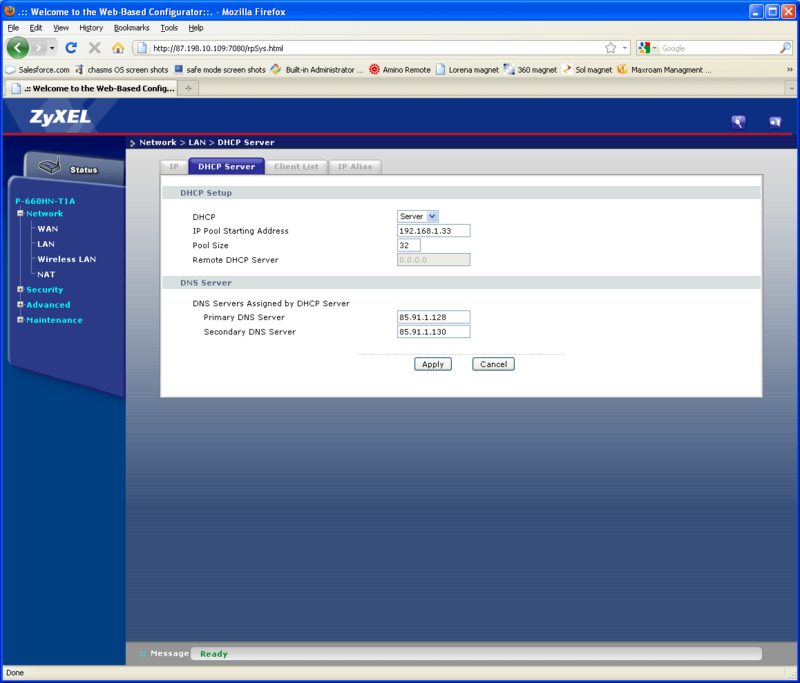 These FTP details are separate from your login details to the control panel. 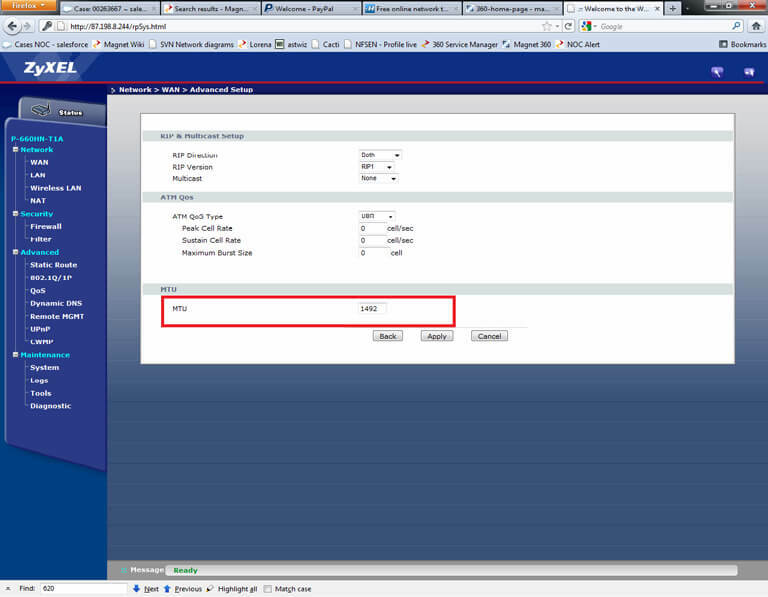 In cp.magnethosting.ie this can be done through PHPmyadmin, the database manager. Once you have logged in here click on your database name in the top left hand corner. When you have done this you should see your database tables in the main window. Next click on the “Export” option at the top of the page. This will then open up a window with some options to select. Ensure that all of the tables are selected in the “Export” box. Then select the “Save as file” option at the bottom of this page and click “Go” to the right of this to backup your database. Note: This will only reliably backup a database up to about 10-15MB in size. For any database larger than that you will need to export the database via a cron job. On our shared hosting plans (cp.magnethosting.ie) you can access a tool called phpmyadmin to manage your databases. Which will open up phpmyadmin in a new windows that you can use. How to block IP addresses from viewing my site? This uses a .htaccess file which can be used to control some aspects of how your website runs. You can also use deny from all (instead of allow from all) which will deny everyone. You can also allow or deny by a specific domain name instead of an IP address if you wish. Just place this .htaccess file into your webroot folder (i.e. the folder you have all your website files located in). If there is a .htaccess file in this folder then just add the lines you need to this file (some php applications create .htaccess files). Please note that you can not and should not modify the .htaccess file directly in the webspace folder. Where can I find plugins for WordPress? How can I install a new WordPress theme for my blog? Please note that newer versions of WordPress have features in the WP-Admin section called “Add new theme” that makes this process much more automatic. The following instructions are only if you installed WordPress on our new system through the Application Vault, if you are running an older version of WordPress, or if you want to install a theme manually. If you installed WordPress through the Application Vault you should not be using the “Add new Plugin” or “Add new Theme” functions, you should instead be using the “Plugin Uploader” and “Theme Uploader” functions now available in the wp-admin section. Using this you can browse to the file on your local computer and upload it. The application vault will then install the them in to the correct folder for you. How can I setup permalinks in WordPress? The same would apply for Joomla and any other application that the URL path needs to be changed on the Application vault install. Setting up WordPress manually can be daunting at the start. 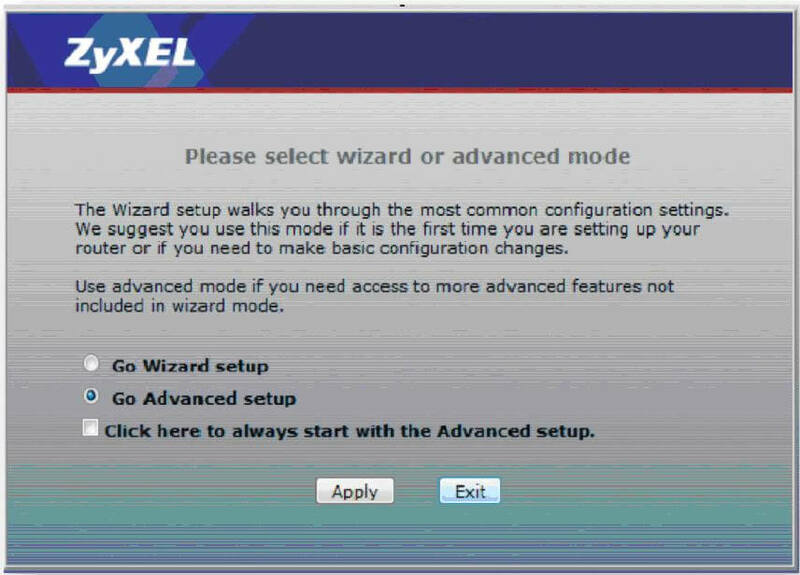 However after your first installation it becomes quite easy. The main issue is finding your feet on the first installation. Here is a great link contributed by one of our users on how to do this on the Magnet platform. Enjoy. How to setup a WordPress blog, manually. How do I find out how much resources I am using? The figures in here are only updated once a day so any large changes can take some time to show. If you have forgotten your cp.magnethosting.ie password, click on the “Forgot password” link. On the subsequent page, click the “Get An Authorisation Key” button. Once you have received the key, click the “Change Password” button, enter your login name + authorisation key and your desired new password. For Linux based hosting, there are 3 different ways in which you can perform website backups. 3. Lastly, (advanced users only) you can manually setup an FTP Connection to your website and download an entire copy of your website files. You will also need to login to your database and export a .sql copy of your database. How can I check my domain’s dns propagation? How can I add a domain to my account and ensure it gets added to your nameservers? the subdomain will automatically be set up in our new nameservers when you set it up in the control panel. An MX record is a DNS entry that identifies where mail for a domain should go. An mx record has to be an A record ie. it CANNOT be an IP address. Please note that this can take upto 60mins to take effect. An MX record shouldn’t be set to point directly to an IP address. If you only have an IP address create an “A Record” pointing, for example, mail.domainname.tld to the IP address. Then set the MX record to point to the “Mail Exchanger” of mail.domainname.tld where domainname.tld is your own domainname. Give the propagation one hour and the site should redirect. 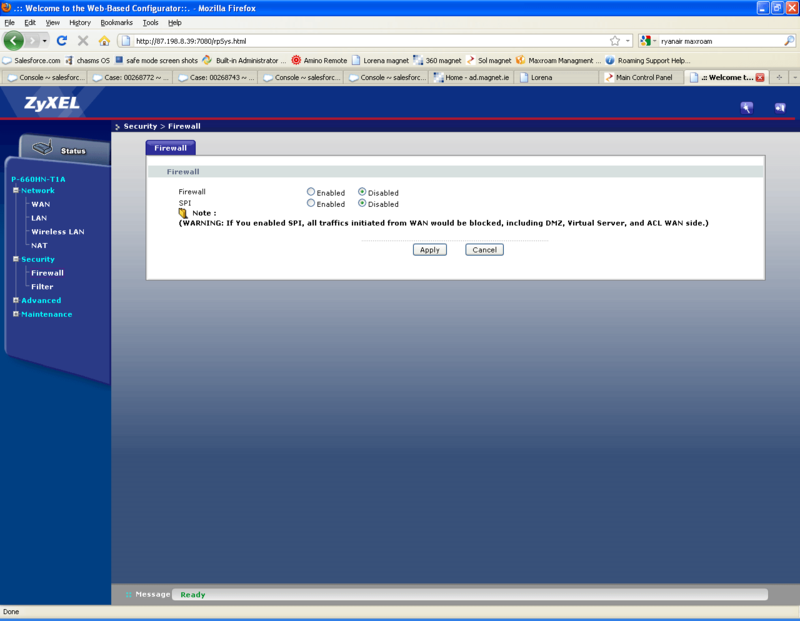 NOTE: Changing the hosting on a domain removes any applications installed on the domain via the application vault. In the new hosting package control panel at cp.magnethosting.ie you have the ability to make any changes to the DNS settings for domains you have hosted with us that are set to use our nameservers. 4. You cannot change your nameservers in the DNS section, you can only set up the domain to be how you need it in our own nameservers. If you want to set a domain to use nameservers other than ours then please see previous FAQ. Where mydomainname.com is your own domain and the series of numbers – the IP address, is the IP address of the server you are pointing the domain to. Typically you can get this information from your hosting provider. Please note: This is *NOT* done under: Hosted Domains, Websites, or Manage DNS. In the above you can only set the domain to use “External Nameservers” to remove the domain from our nameservers. You can not specify what nameservers you want the domain to use here. How can I update where my domain is pointing? >> Now click on DNS records. >> Ok the record you are adding is a TXT record so you will need to choose TXT from the dropdown list. Please note that DNS changes can take upto an hour to take effect. Please address all billing queries to billling@magnet.ie. Ensure that you include as much detail as possible in your query including the name on the account, the account ID, an order or invoice number. Please be aware that we can only liaise with authorised contacts on accounts. Please bear in mind, however, that our anti-fraud measures are quite strict, so you may need to provide extra paperwork when placing your first order. You may be asked to supply proof of the selected method of payment along with proof of the account holder’s address or an internationally recognised form of photographic ID. If this happens an email outlining exactly what is required will be sent to you shortly after your order is placed. How do I turn on/off the Auto Renew option? Please log on to your account at Magnet Hosting and follow the steps below (Applies to accounts on this system only). Domains and subscriptions can only be renewed automatically if a credit/debit card has Automatic Payments enabled. If you would like to ensure nothing on your account is charged to your card automatically, you can turn the card off for auto payments. This can be done by following the below instructions. Account >> Payment Methods >> Click on the card\payment >> Disable Auto Payments. If your card is set as the default payment method and you DO NOT wish for your domain/subscription to renew it is important to TURN OFF the AutoRenew. For hosting this needs to be done prior to 5 days before renewal and for domains it needs to be done prior to 21 days before renewal. Once the renewal goes through we cannot offer refunds for unwanted domains/subscriptions. Can I host multiple domains/sites under one account? Yes. All our hosting accounts allow you to have multiple domains and sites. Can I install and run my own PHP / CGI scripts? How can I move my site’s content to you? If your new account with Magnet has been setup you will have received login information in the welcome email. You can use the details provided in this email to log in to your Control Panel and upload your files through the “File Manager” or see your FTP details. You can see your FTP details under Websites >> domainame >> WebSite Configuration (windows) or FTP Access (linux). You can set up your email accounts under “Email” and if the domain is not synchronised please contact us. How can I move to you and avoid any downtime? 1. Signup for a hosting account using our online order system. Once we receive payment we will setup your account and send you the details you need to upload your files and setup email addresses etc. 2. Make sure you have a backup of your website’s files, so that you can upload them easily to one of our servers. 4. Once the DNS has updated you should contact your former hosting company to cancel your account. If you have any issues moving hosts please contact our support team. Where are your servers based? All our servers are based in Dublin on our core network which is connected to both the Irish Internet Exchange (INEX), London International Exchange (LINX) as well as having other private peers with other important global internet partners. Which hosting plan should I choose? Our hosting plans are designed to cater for every need. The main differences between the packages is the resource allocation. For most websites our innovator package should be more than suitable. If you expect a lot of traffic or wish to host a large number of sites you may find Pro hosting plan better due to the extra resources. A number of files related to a shell account. These include configuration directives and logging of user actions. A bnc is short for ‘bouncer’. A bnc acts as a proxy to IRC, allowing you to hide your real IP address and use a vhost (vanity host – something like ‘this.is.high.quality.web.hosting.in.ireland.com’). An automated program that operates on IRC. A hosting account used primarily for either shell commands or to run shell processes, such as IRC bouncers etc. The command interpreter used to pass commands to an operating system; so called because it is the part of the operating system that interfaces with the outside world. The commonest Unix shells are the c shell (csh) and the Bourne shell (sh). How can I prevent Abuse/Spam? Mailing lists are an excellent vehicle for distributing focused, targeted information to an interested, receptive audience. Consequently, mailing lists have been used successfully as a highly effective direct marketing tool. Unfortunately, some marketers misuse mailing lists through a lack of understanding of Internet customs and rules of the forum pertaining to Email. Others fail to take adequate precautions to prevent the lists they manage from being used in an abusive manner. The Email addresses of new subscribers must be confirmed or verified before mailings commence. This is usually accomplished by means of an Email message sent to the subscriber to which s/he must reply, or containing a URL which s/he must visit, in order to complete the subscription. However it is implemented, a fundamental requirement of all lists is the verification of all new subscriptions. Mailing list administrators must provide a simple method for subscribers to terminate their subscriptions, and administrators should provide clear and effective instructions for unsubscribing from a mailing list. Mailings from a list must cease promptly once a subscription is terminated. 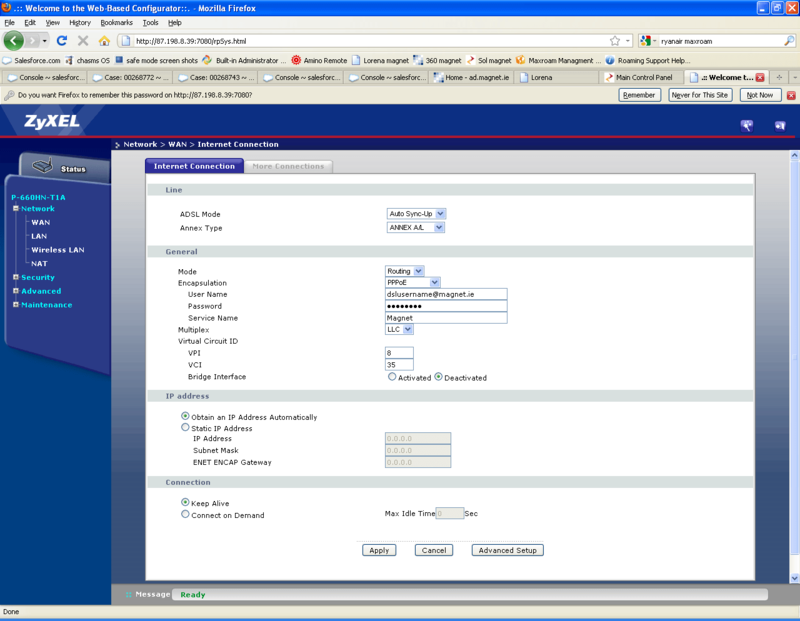 Mailing list administrators should make an “out of band” procedure (e.g., a means of contact by which messages may be sent for further correspondence via Email or telephone) available for those who wish to terminate their mailing list subscriptions but are unable or unwilling to follow standard automated procedures. Mailing list administrators must ensure that the impact of their mailings on the networks and hosts of others is minimized by proper list management procedures such as pruning of invalid or undeliverable addresses, or taking steps to ensure that mailings do not overwhelm less robust hosts or networks. Mailing list administrators must take adequate steps to ensure that their lists are not used for abusive purposes. For example, administrators can maintain a “suppression list” of Email addresses from which all subscription requests are rejected. Addresses would be added to the suppression list upon request by the parties entitled to use the addresses at issue. The purpose of the suppression list would be to prevent subscription of addresses appearing on the suppression list by unauthorized third parties. Such suppression lists should also give properly authorized domain administrators the option to suppress all mailings to the domains for which they are responsible. Mailing list administrators must make adequate disclosures about how subscriber addresses will be used, including whether or not addresses are subject to sale or trade with other parties. Once a mailing list is traded or sold, it may no longer be an opt-in mailing list. Therefore, those who are acquiring “opt-in” lists from others must examine the terms and conditions under which the addresses were originally compiled and determine that all recipients have in fact opted-in specifically to the mailing lists to which they are being traded or sold. Mailing list administrators should make adequate disclosures about the nature of their mailing lists, including the subject matter of the lists and anticipated frequency of messages. A substantive change in either the subject matter or frequency of messages may constitute a new and separate mailing list requiring a separate subscription. List administrators should create a new mailing list when there is a substantive change in either the subject matter or frequency of messages. A notification about the new mailing list may be appropriate on the existing mailing list, but existing subscribers should never be subscribed automatically to the new list. For example, if Company A acquires Company B, and Company B has compiled opt-in mailing lists, Company A should not summarily incorporate Company B’s mailing lists into its own. How do I report Abuse/Spam? Email Abuse and Email Misuse is a serious problem, and Magnet Networks will not tolerate it. What are the reasons for termination? Threat of legal action, to include any demand letter, summons, Court Orders or injunctive relief. Full Confirmation of Breach, violation or infringement of Trademark of the Registrar or any other third party. Where this Agreement is terminated by the Service Provider, all information held by Service Provider, can and will be released to concerned third parties without any further notice to the Customer. The Service Provider will have no liability for release of any information provided by the Customer, and the Customer hereby Indemnifies the Service Provider against any liability, damage, or breach of Law through release of this information. The bulk UCE, bulk promotional material, or other forms of solicitation sent via Email that advertise any IP address belonging to Magnet Networks. or any URL (domain) that is hosted by Magnet Networks. Unsolicited postings to newsgroups advertising any IP or URL hosted by Magnet Networks. The use of web pages set up on ISPs that allow SPAM-ing (also known as “ghost sites”) that directly or indirectly reference customers to domains or IP addresses hosted by Magnet Networks. Advertising, transmitting, or otherwise making available any software, program, product, or service that is designed to facilitate a means to SPAM. For further information on mail abuse, please visit the Mail Abuse Prevention System (MAPS) website. Across the Web, it is generally accepted that SPAM is an inconsiderate and improper business practice. SPAM is not only harmful because of its negative impact on consumer attitudes toward Magnet Networks., but also because it can overload the Magnet Networks. network and resources, especially on our shared (virtual) server environments. Since it is unsolicited, users who receive SPAM often become angry and send complaints to our upstream providers. This upsets our providers who abhor SPAM for the same reasons that Magnet Networks does – it causes negative consumer attitudes and drains resources. We strive to maintain favorable business relationships in the Web community and obviously will not allow any practice that threatens these relationships. What is the punishment for Abuse/Spam? Magnet Networks. reserves the right to terminate, without warning, any account that violates this policy. Usage of Magnet Networks. services constitutes acceptance and understanding of this policy. Reseller may choose to pass this charge down to their client. These are non-refundable charges and will be invoiced at the time of complaint notification. Magnet Networks. reserves the right to decide what it considers “SPAM”, “UCE”, “mail bombing”, or “bulk Email”, and to determine from all of the evidence whether or not the Email recipients were from an “opt-in Email” list. Should you choose to Email from Magnet Networks. servers, especially if you use mailing lists, you must read and adhere to the following guidelines, which are offered as a statement of Internet standards and best current practices for proper mailing list management and preventing Email abuse. Where will I find the Terms and Conditions for .UK domain registration?